How it becomes cool on the top regions? | Why temperature decreases with increase in altitude? We know that the sunlight travels through the air and then reaches the earth. Even the sunlight travels through the air, the heat is not absorbed as the air is poor absorber. The earth absorbs more heat than the air and so the air near the earth becomes hot. The air then becomes loose and moves upwards. The temperature of the earth decreases as we go the higher places. So when the air reaches that place, it vaporizes. Then the temperature of the air decreases and it becomes cool. In this way the temperature of the air decreases by 9 degrees. 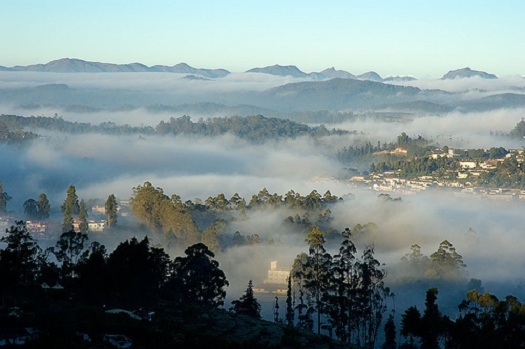 The weather of the higher places like Ooty etc are cool even in summer but when we move up to 40 kilometers above the earth, the temperature will be hot.